so anyway, have some drones. I am also sure there is a market for a Commando-esk comic staring drones. Possibly about a young nano quad drone’s struggle to earn respect from a tough grizzled Predator drone veteran in war torn ‘trouble spot du jour’. On an unrelated note, how many people end up writing de jure, when they actually mean du jour? 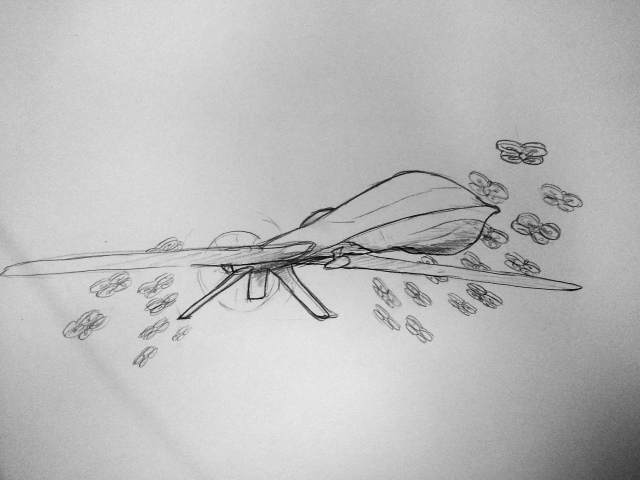 This entry was posted in Quick Desksketch and tagged drones by Anthony. Bookmark the permalink.